If you’re an entrepreneur running a business, you shouldn’t let yourself left behind. Improving your online presence is one of the most important investment you can do for your business. Basically, it improves your chances of generating additional revenue and building customer loyalty. Aside from that, building a nice-designed website can strengthen your corporate image and complement your branding. As you build an online presence, you give your business 24/7 business operations. Adding your contact forms will give your website visitors the ease in setting up an appointment. Here’s a collection of website mockups and templates that will be useful for building a modern website. Website mockups provide you with a realistic look of your designs without doing the hard code. The best things you will get is that you can evaluate the necessary details such as fonts, colors, images, and other content. If you want to present your designs to a client, you can just pick up the mockup or template that fills your needs. Of course, if you’d like to change anything on the designs, you can instantly apply it. Just locate the folder or layer where the element is placed and do the customization. If you need to change the image or logo you can use smart objects for inserting it with ease. If you want to change texts or font colors and sizes it is also possible. 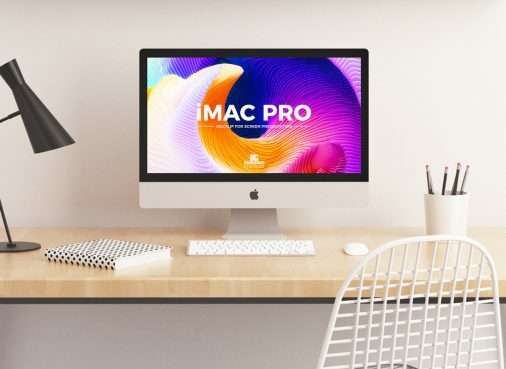 This list of free and premium website mockups will give you the smart way of evaluating your designs. Whether you want to build an e-commerce website, digital agency, medical, real estate, wedding, crypto or a landing page website you will always find this list useful and realistic. 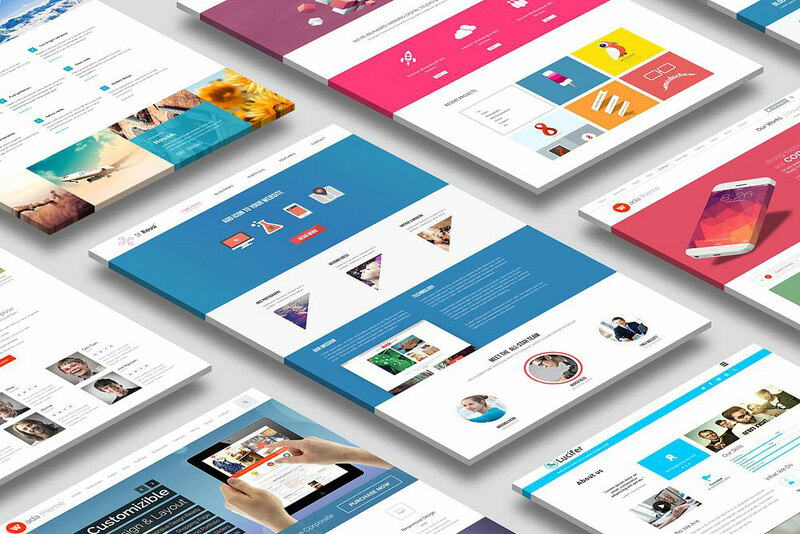 So, just sit back and relax while we give you this awesome website mockups collection. If you’re a businessman whose line of business is providing digital solutions then there’s no way why shouldn’t have your digital agency website. Of course, your wise, innovative and modern solutions need to be spread across the web community. Thus, you’ll be able to reach the more potential customers and open greater opportunities. This Digital Agency Website Mockup – Available in PSD Format is a must-have for businessmen who want to improve online presence. This mockup will help you build a layout of beautiful portfolio or websites. It will help you create your content more practical and realistic. A little knowledge in Photoshop will do more when you utilize this free website mockup. As contents are placed in separate, properly named folders you can edit the elements quick and easy. Do you have any idea how to create a car dealer portal for auto dealers and car sellers? If you are currently working with a client having this type of projects, then this is your time to shine! With this Car Themed Website Design PSD Mockup Available For Free you can showcase your designs in a remarkable manner. Just by grabbing this freebie you and your client will have an overview of how your website will be. This website mockup in PSD file will help you refine the elements in your website. You will have an idea of how you are going to demonstrate a clear and simple design that will wow your clients. 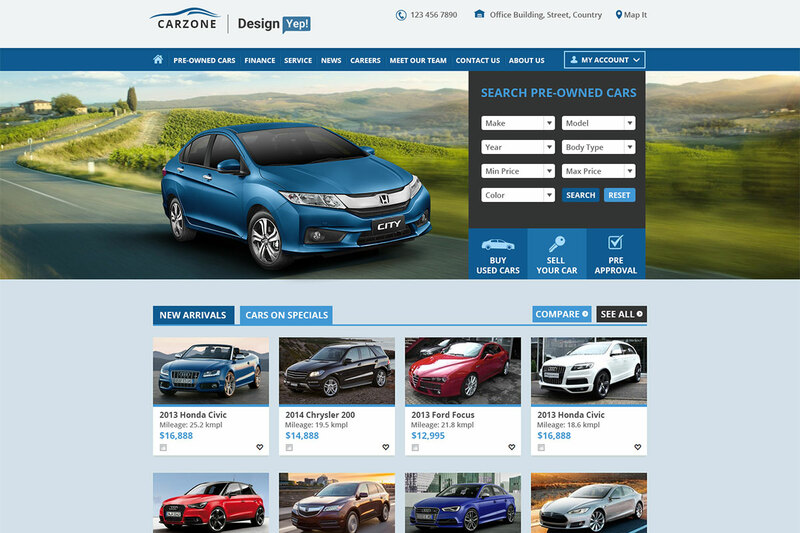 It has all the elements a car portal or car dealer website should have. No matter what line of business you are into it’s always necessary that your website is responsive in all diverse devices. By ensuring that it looks well on smartphones, tablets, and laptops you are already giving your business a chance to grow successfully. As people are hooked into diverse devices in setting up flights, ordering online, setting up appointments and other online transactions, your website should cater to their needs. Here’s a Beautiful Perspective Website Mockup Freebie that will help you check your designs of an upcoming website. This mockup comes with three types of devices in one scene, one for the smartphone, tablet, and desktop in an isometric view. Each of this is placed in separate folders so editing won’t be an issue. If you haven’t taken advantage of online presence for your business, maybe it’s time to do so. Reaching more potential clients and customers with your genuine products and amazing services through the website will give your business a significant growth. Here’s a Free Website Mockup in PSD that’s ready to aid you in building your website. 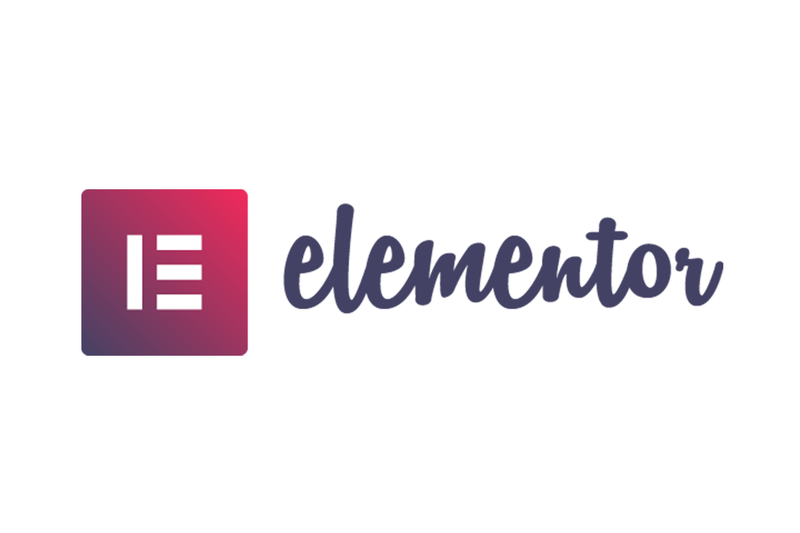 This mockup lets you choose your own preferences by allowing you to edit the elements on it. Particularly, this mockup has organized folders and layers so customization is easy and fast. Specifically, you may edit the text or content on each element; add your logo via smart object layer and customize some element’s color. 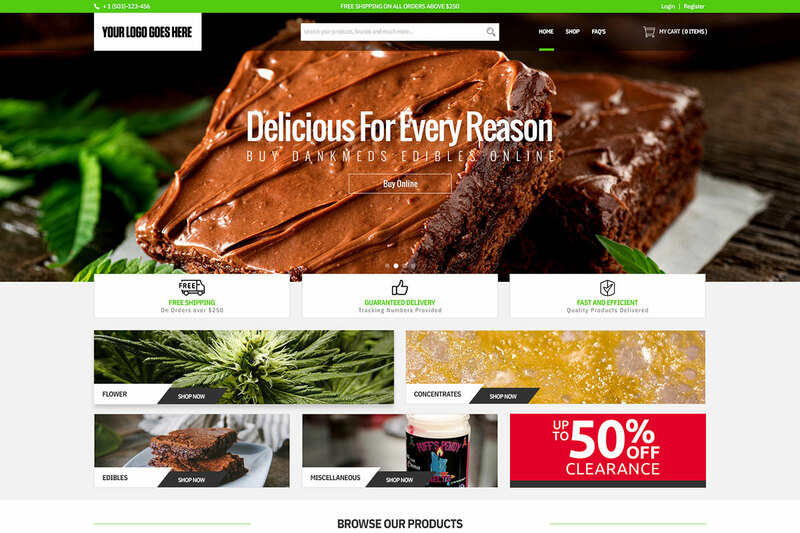 All in all, this mockup is an excellent pick if you want to design your website’s layout. Selling items online are popular these days. Whatever stuff you want to sell, the web technology has always got something for you to make your wish come true! Since many awesome designers are charitable enough to share their free resources on the web community, you can always find useful eCommerce PSD templates that will aid you with your designs. Here’s one that’s worthy to have for your eCommerce website projects, an e-commerce Website Design PSD Mockup for Free. This mockup features a landing page for an e-commerce website. It has all the elements you need to put up an e-commerce site in just a few clicks. So, give your website a new, fantastic look with wonderful contents when you use this freebie. If you think restaurants, job portals, and other business are the only one who has taken advantage of online presence, you better think twice and check! The healthcare industry has joined the other industries in promoting their business online. Many medical websites are out on the web to offer convenience to their patients, set-up an appointment online, inquiries, and spread information about their services, facilities. If you have new projects with this kind, you can use this Medical Website Design PSD Mockup for Free. The mockup will help you decide which elements suit with the other. If you have basic skills in Photoshop, editing won’t be a problem. The PSD file also comes with a laptop screen on top so you can see if it fits well on it. Putting up a real estate website for your business brings it to a modern perspective. It also provides access to online resources, and opportunities to provide better services. Apart from that, real estate website allows you to attach content to an agent’s name and drive traffic to their listings. If you think you need one for your business, never miss this New Real Estate Themed Website PSD Mockup for Free. The mockup lets you showcase your designs to a client with the finest contents and seamless elements. 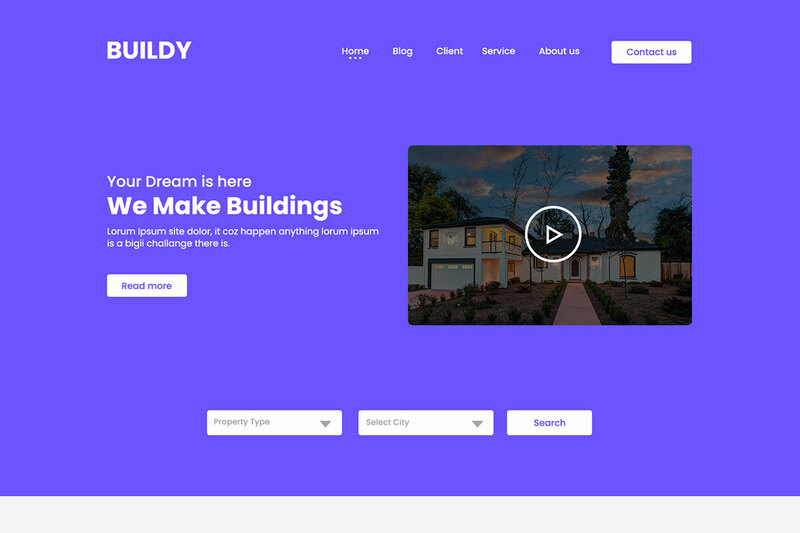 Having a modern, sleek and professional design this mockup is ready to carry your real estate business to the next level. Each section on this website template has organized folders so if you need to customize anything, you will always find it easier to do it. Organic products are becoming more popular and in demand these days. Perhaps people now understand how beneficial organic products are. If you’re one of the entrepreneurs venturing in this line of business, you can grab this Family Farm Website Design PSD Mockup for Free. 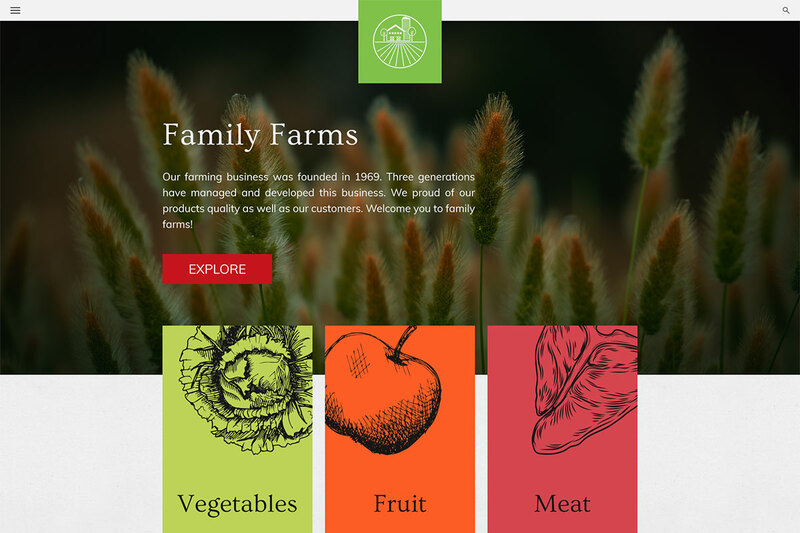 This website mockup features a farm website that you can use for your new organic farm websites. It will give you a nice and modern look of a website, having useful elements to create a remarkable content. It comes with awesome call-to-actions, testimonials, video slider, and many other powerful features. If you need to edit some of the content, just locate it on the properly named folders and do the customization. Generate leads for your business using website landing pages. This type of website is crafted for the purpose of marketing or advertising campaign. Moreover, it’s the best option to use for increasing conversion rates. If you think you need landing page website for your business then you can opt for this Free Website Landing Page Mockup in PSD. The mockup comes with important details to complete a landing page. The most important part of the landing page is the call-to-action and is not crowded with links. This mockup applies this important principle in crafting your landing page. Increase your visibility and presence through an online portfolio that will showcase your work easily with the clients you’d like to work for. Before you create your portfolio website, always consider sleekness and professionalism. Before you finalize the designs, content, and layout you can pick this Free Simple Website Portfolio Mockup in PSD. This mockup will help you see the elements you add in your website, remove the irrelevant ones, adjust details of you need to and improve the ones that need polishing. 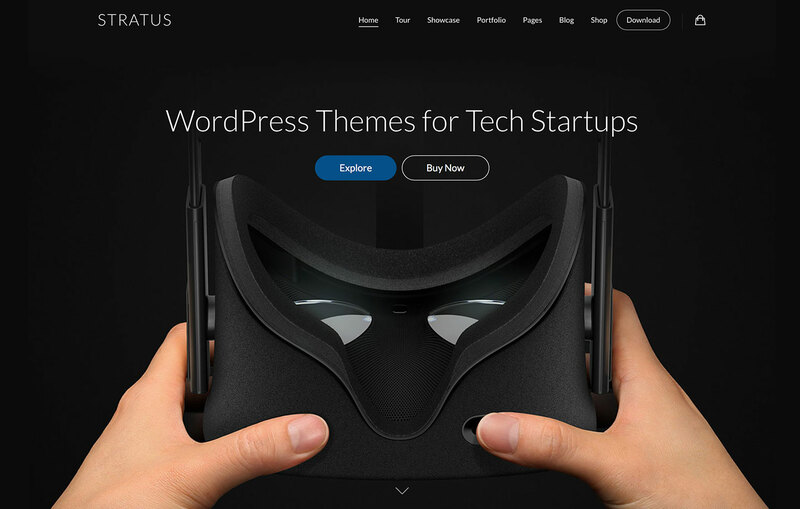 It features a black-themed simple portfolio website that will give your website an awesome look. It also comes with a gallery to display your awesome works. Planning a wedding needs time, effort and money. From the venue, motif, reception, and invitations these are just a few things to remember when you plan a wedding. 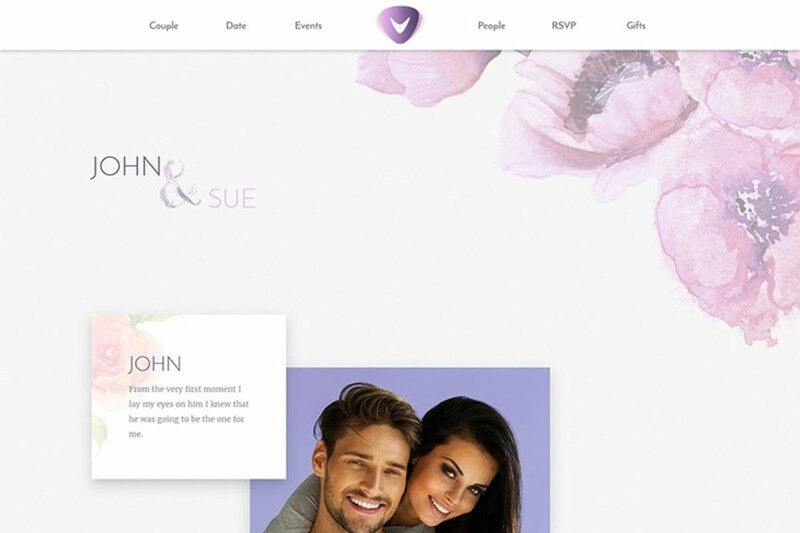 However, due to the demand for wedding websites, many designers have created wedding templates that will serve as a guide for building such websites. This mockup features a wedding website that has organized folders and layers. Intended for a wedding website, this mockup has a centered menu, adorable layout, RSVP, wedding events and many other useful sections. Clean and modern websites are attractive and engaging. If you’re trying to develop one for a client, consider the small details that seem unimportant. Small details such as the fonts, colors you use, images and line height make a big difference when given importance. 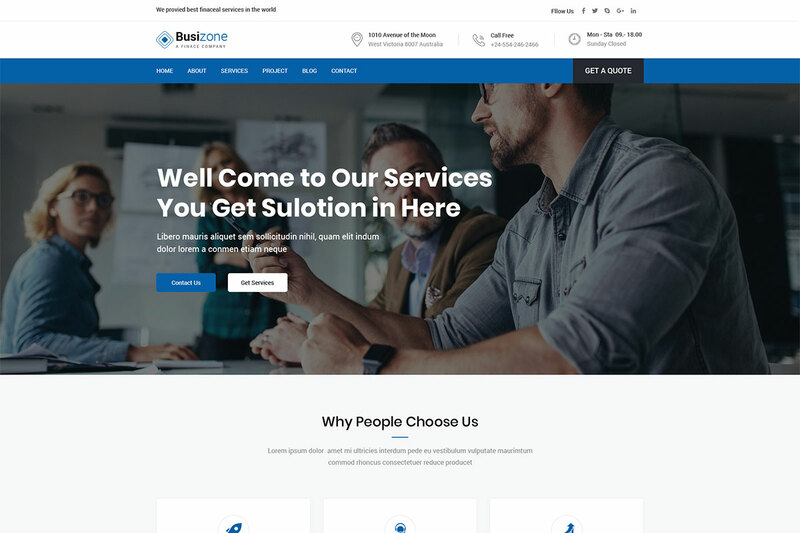 If you do not have the idea of how you’d start to craft your website layout, perhaps this Busizone will make you create the best and useful business website. This website template has a clean, modern and attractive design. You can use it for startups, landing page, or portfolio website of any business you want to apply. Just prepare the high-resolution images you have to represent your business, the fonts, and colors you will use so that you can evaluate if it’s good enough for a client presentation. Cryptocurrencies have become very popular and have become a hot investment these days. Not all people are tech-savvy and the same is true with the crypto world. Not all people know how this cryptocurrency works. 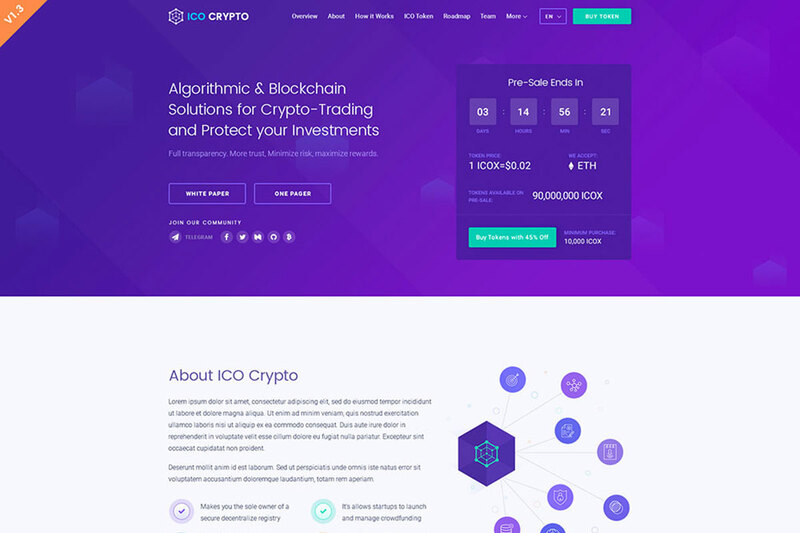 So, if you’re a designer working with a crypto website you can cut the thorns and thistles in your project by acquiring website templates. This ICO Crypto is a perfect choice for creating a landing page website for bitcoin and cryptocurrencies. It comes with powerful features intended for a crypto website. 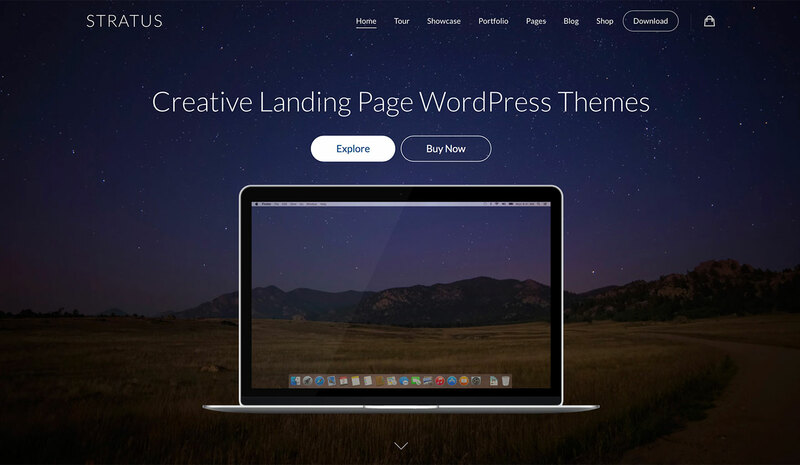 The website template has 11 landing pages that have clean and modern designs. Other awesome features include a token countdown, fund allocation graph, teams, roadmap, partners and contact form. If you need website templates that can provide you with almost everything you need about building websites, you can pick the premium ones. One of the best and popular templates that have captivated the hearts of the businessmen are the multipurpose templates. Here’s Onne, a creative and clean multipurpose website template perfect for any website projects you will have. 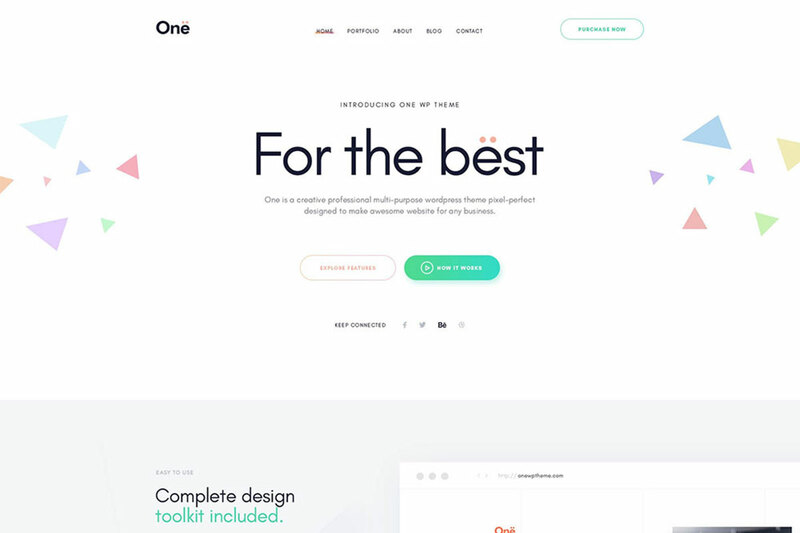 Crafted with perfection in mind, Onne is the finest template you can opt for construction, medical, travel, gym, portfolio, blogging, landing page and more. All in all, it has 54 PSD files that are ready to add elegance and sophistication to your websites. Job portals have become famous nowadays. Ready to provide the best place for employers and candidates these job boards play vital roles between the two parties. Hence, we’ve handpicked this Jobhunt for job board projects you will have in the future. 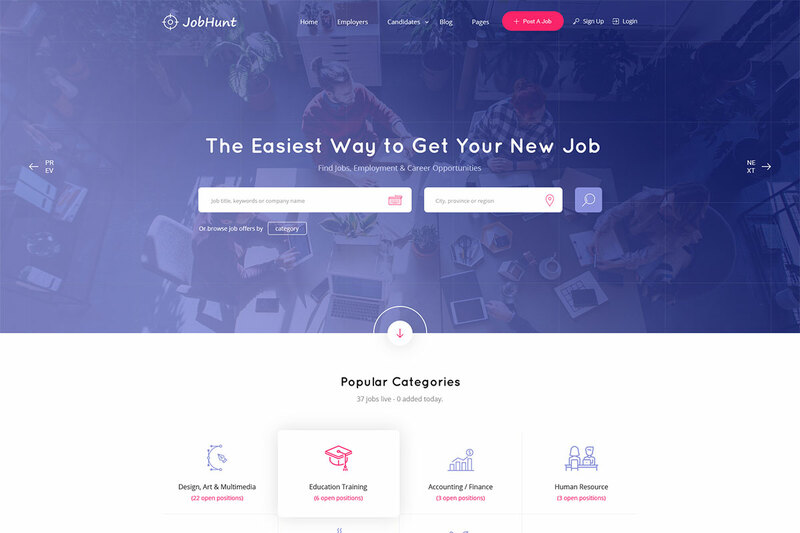 Jobhunt is a creative job board website template ready to guide you in making powerful and useful job portals. This template has amazing features, elegant and professional designs. Carefully crafted, this template has all the necessary elements needed to complete a job board website. It has simple yet convenient to use sign up, post jobs, job details, managing profiles, resume, blogs, application forms, and many other related elements. Developing a software takes a lot of energy, brainstorming, time, effort and creativity. Hence, promoting that software is worth every penny. In order to spread awareness, you can look for a landing page that will do the promotion for you. 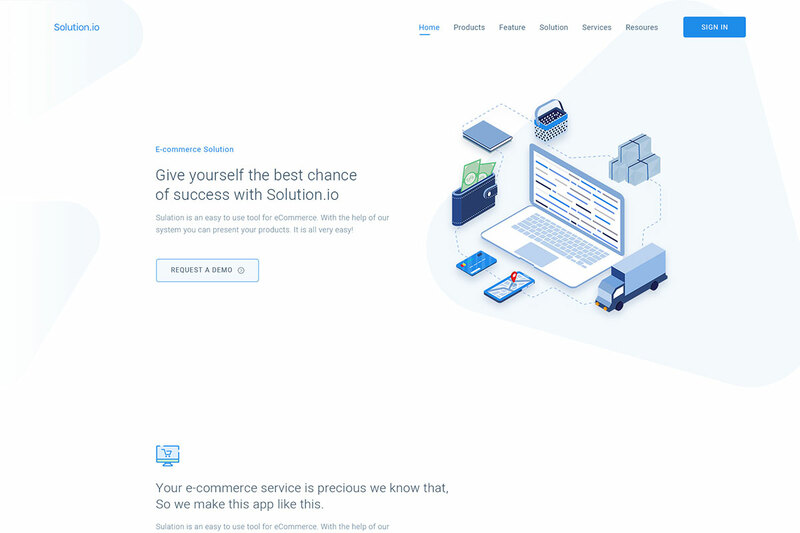 If in case you need a website template now, you can have this landing page website template for showcasing your software, app, Saas or any product. It has a clean and minimal design ready to display your apps in a nice and engaging manner. It has properly named and organized layers for easy editing and customization. Aside from that, this template has a pixel perfect designs that will never make it vague and dull. Having a well-designed, easy-to-customize and unique designs of a website is one way to gain recognition. 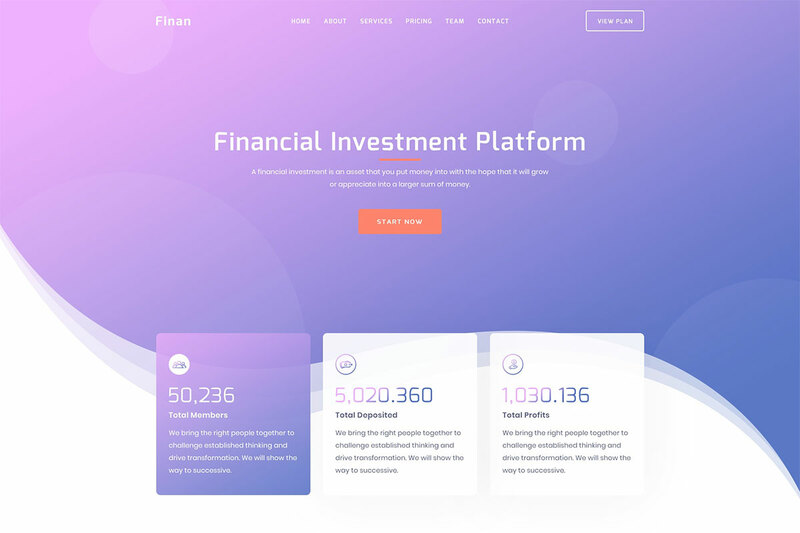 If you need a website template for your upcoming financial investment website, you can acquire this premium template, Finan. Finan is an excellent pick if you want to build a finance-related website. It has clean, minimal and sleek designs that will take your financial business to the next level. It has features that entrepreneurs would surely love such as perfect call-to-action, newsletter, pricing tables, and many other exceptional features. If you are planning to build a business to extend financial services you should promote it well so people would know that your business exists. One way is to create a website that will spread awareness of your services. 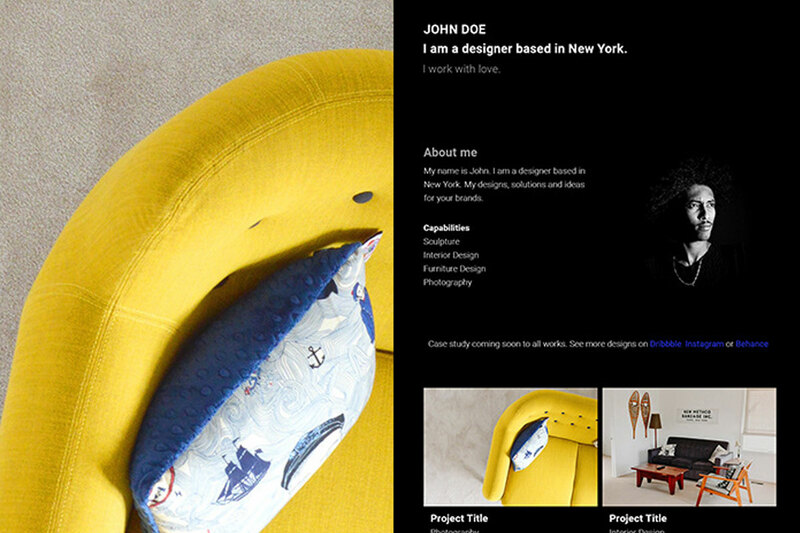 If you plan to create one you can check out this Accrue website template. 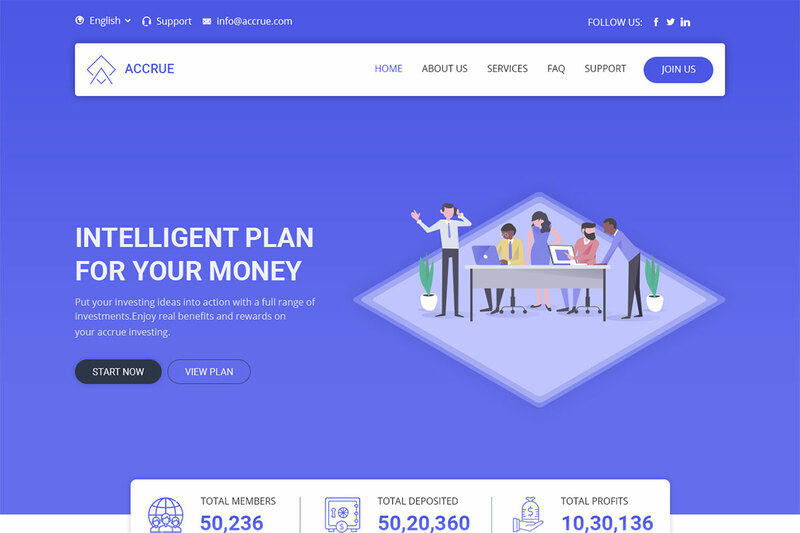 Accrue is an investment website template perfect for lending, HYIP, cryptocurrency and many other related websites. It has an attractive design, useful and realistic content that will guide you in achieving a grandeur website layout. It has fantastic features which include pricing table, calculator, animated counter and many other features. A website with eco-friendly looks will surely demand attention. Whether you’re assigned to build a website for a non-profit organization, nature-related websites, you can opt for this Beco. 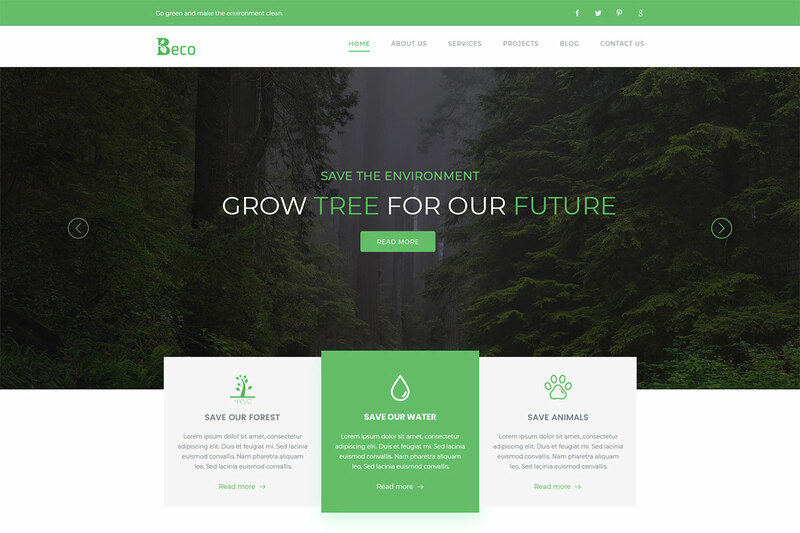 Beco is a multipurpose and ecology website template with modern and eco-friendly appearance. The template makes use of green as a dominant color and a white background that makes the template even more adorable. It also has smart objects that let you insert your own design preferences. But this template will give a cool presentation of your designs and layouts without much hassle. Building a website without templates would be tough and stressful. So, better look for useful and realistic templates before you start building one. If you need more customization options, you can pick the premium ones. It may come with a price but will surely make your investment worthy. 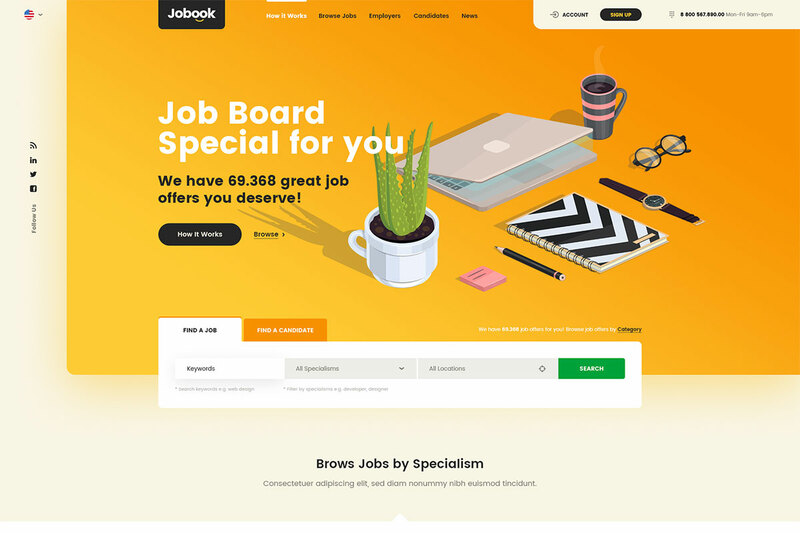 If you’re looking for a job board template, you must not miss this Jobook. A job board website template that has 40 meticulously crafted pages. It has a beautiful, vibrant aura that will attract both employers and candidates. It has a user-friendly design perfect for recruitment agencies, resume market, and directory portals. Are you a great fan of YouTube? Do you realize how it has become so successful in the last years? Well, surely the originator of this video website know how important a user-friendly, easy-to-use website is. Also, he must have known that videos easily demands attention. Of course, you need not forget the contents of the website as it is considered the “king”. 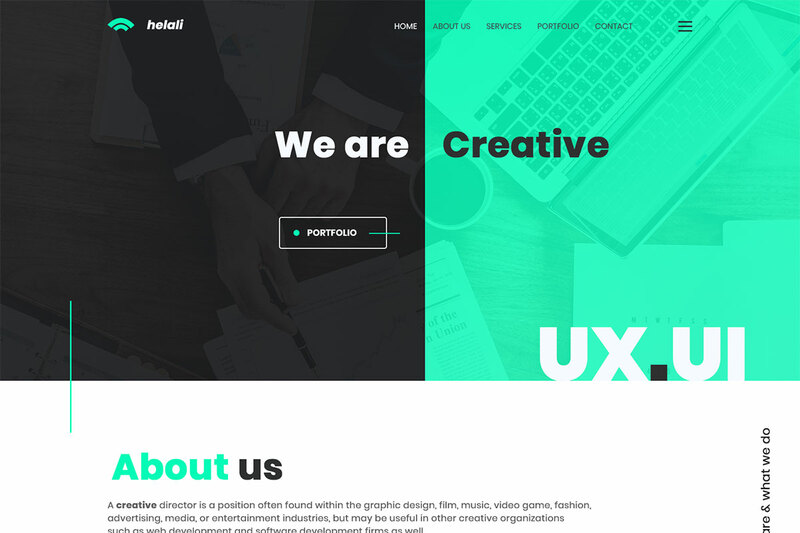 If you are asked to create a similar project, you can make use of this premium website template, Vodi. 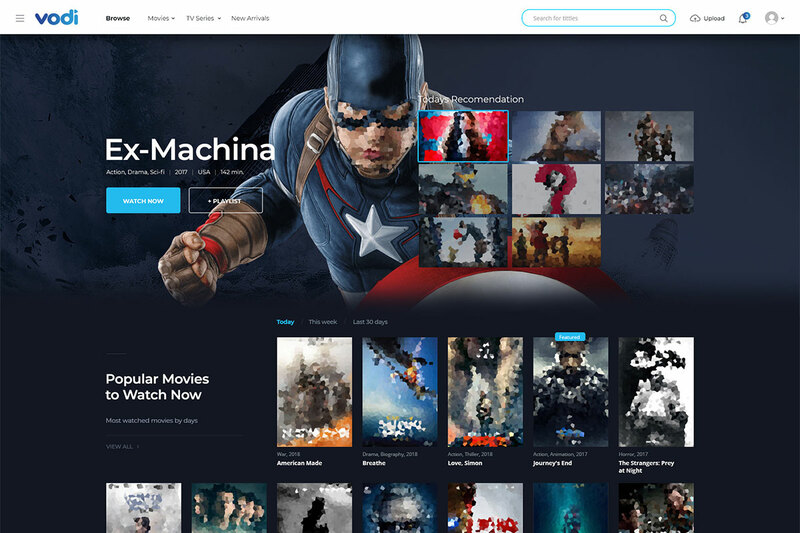 It’s a video streaming and magazine template best to use for any type of directory, listing or magazine focusing on video materials. 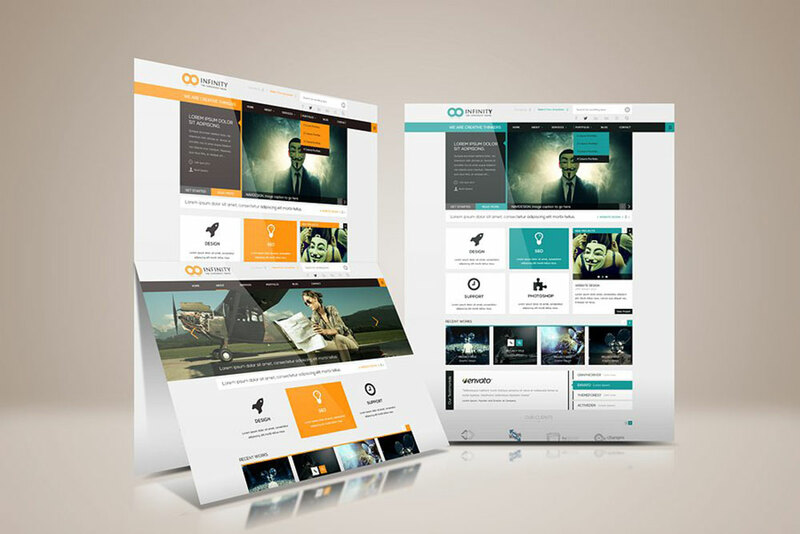 A multipurpose website template has captured the hearts of the web community. It truly made a grand entrance as it offers multipurpose templates in one single payment. 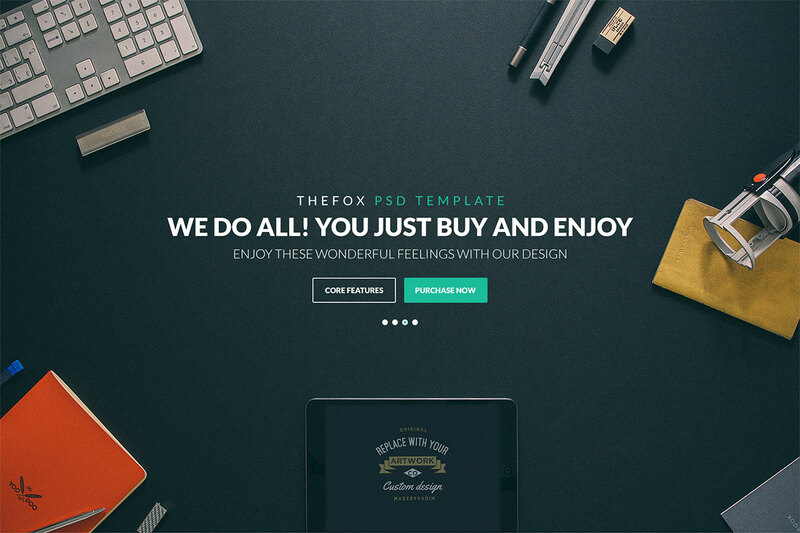 Just as this TheFox multipurpose template, it comes with a huge 280 PSD files for any type of website you want to build. 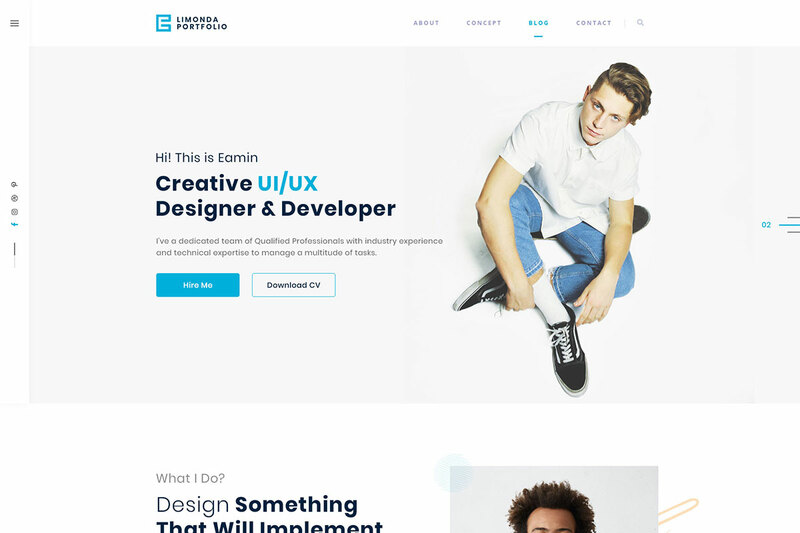 From different homepage versions, unlimited portfolio, multipurpose shopping pages, blog layouts, and many other features, this website template will give you all that you need to create fantastic and excellent-looking websites. Whatever type of services you are trying to promote, it’s always a great choice to create a portfolio website. By having that kind of website, you can easily present your brand, products, services and other achievements you’ve done. If you want a more unique and modern you can opt for this Limonda. 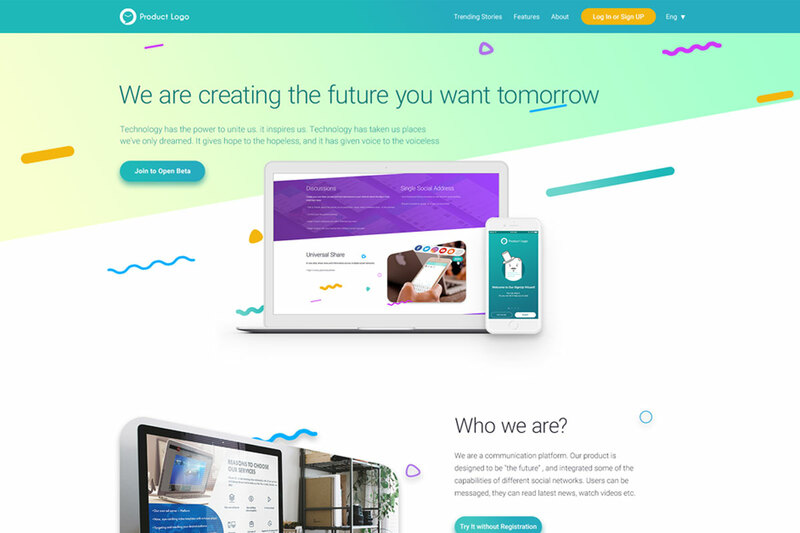 It’s a website template with a clean, gorgeous and creative designs best for startups, landing page, portfolio and other types of business you use it with. 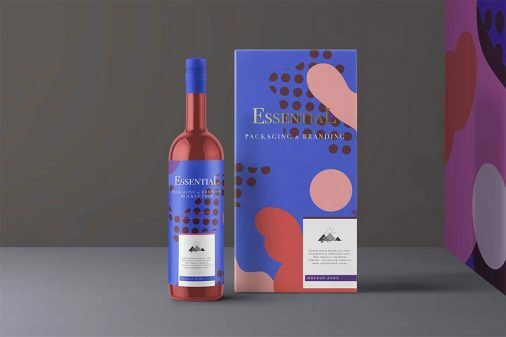 Because less is more, this template makes use of minimal features but will surely make your brand stand out. Pizza is definitely irresistible. Nowadays, people are becoming more dependent on food delivery. Of course, businessmen would always spoil these hungry customers with online ordering available in smartphones and tablets. So, with just one tap on their smartphones, a dish is made ready for delivery. Hence, if you are into this business, never let your brand left behind. You can get this Pizzaro website template and make your dishes available online. 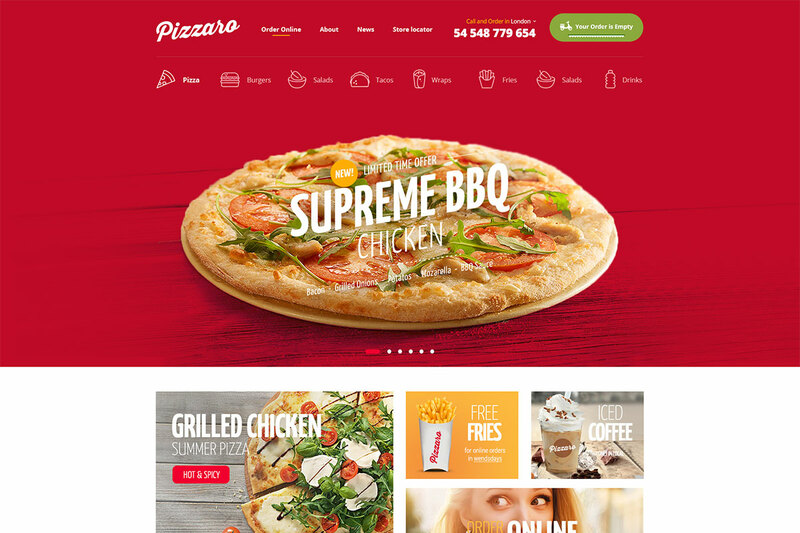 This template is best for the pizzeria websites, or any local fast food website projects you will have. It has very useful pages such as shop, galleries, and blogs along with modern and professional designs. Building a website needs dedication, skill, time and resources. Once you have finished the layout of your website design, you can use a mockup to help you polish it. One way to see it nicely is to use a website mockup. Here’s a Perspective Website Mockup that you can take advantage of for your personal or commercial website projects. 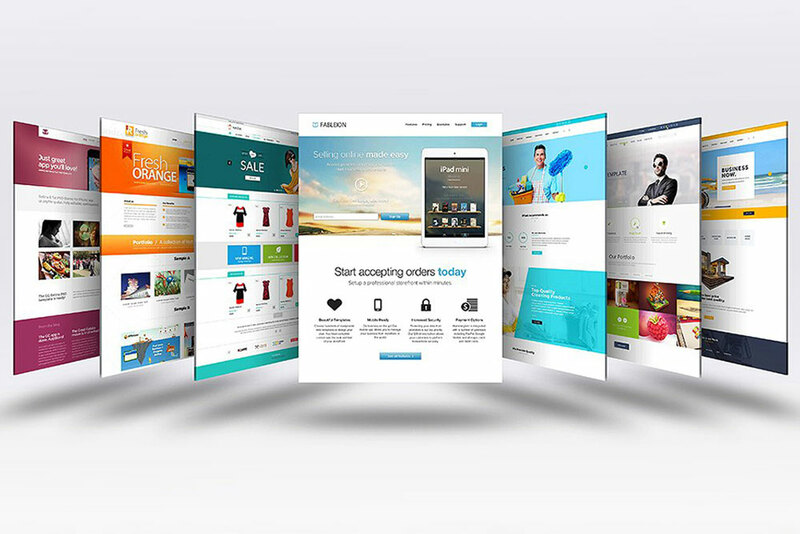 It features various website mockups in perspective angle available in PSD files. With this mockup, you can preview your designs in a stylish manner and insert them easily with the smart object layer. As it uses organized folders and layers editing is very easy and shows an automatic thick layer. 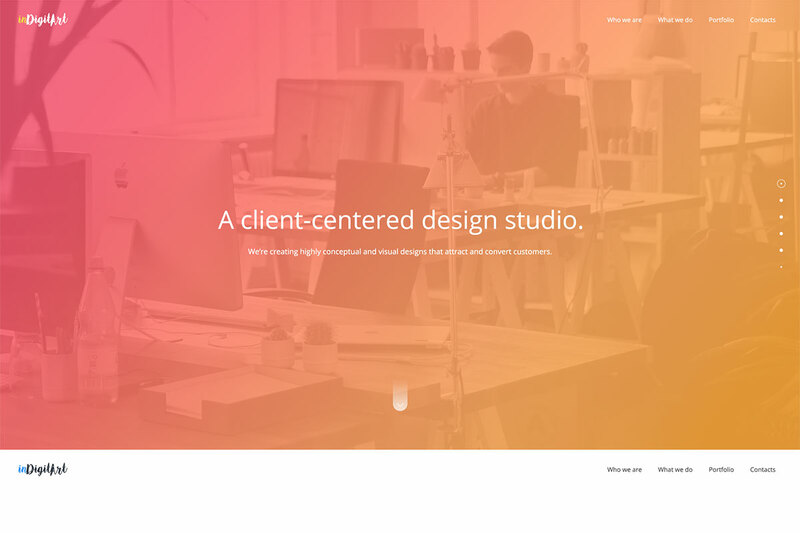 Are you a designer working with a new website layout for your client? Do you wish to see your designs in a realistic mockup? Well, you can make use of this awesome Website Showcase Mockups. 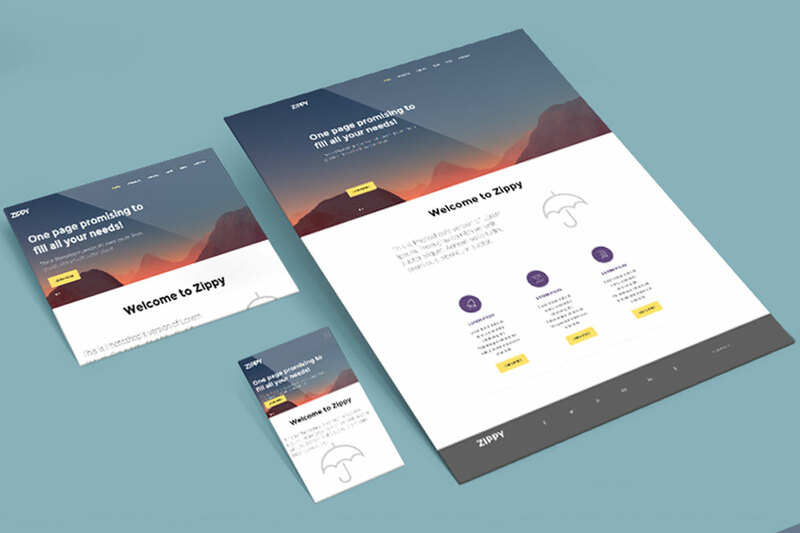 This pack contains five different ways of showcasing your website designs. It’s a high-resolution graphics with a layered PSD file ready to make a pixel-perfect presentation of your artwork in just a few clicks. You can use this mockup for a client presentation, branding, and other purposes. Just use the smart object layer for inserting your designs well. A mockup is truly more impressive than wireframes. Likewise, it incites interest among stakeholders and investors. So, why not make use of such mockups to exhibit your layout or designs wonderfully. If you want your design to stand out, better opt for this 3D Website Mockup for your upcoming presentation. This pack contains four display mockups for your projects in PSD files. 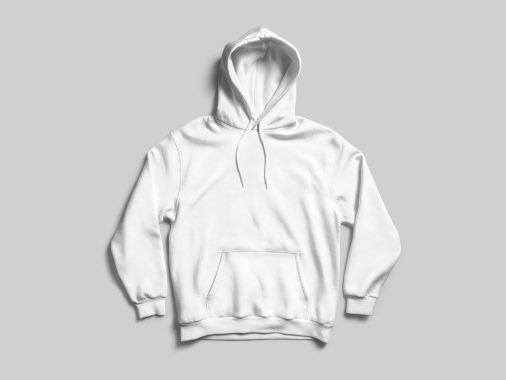 With this mockup, inserting your own designs has never been this easy. Thanks to the smart object layer that works like magic! It’s a high-resolution graphics with 4800×3200 pixel dimensions at 300 dpi. As it has organized folders and layers, editing won’t be a problem.